Some are under the impression that gold’s performance in the U.S. is not as good as it should be, considering we had a rather uncertain year last year. 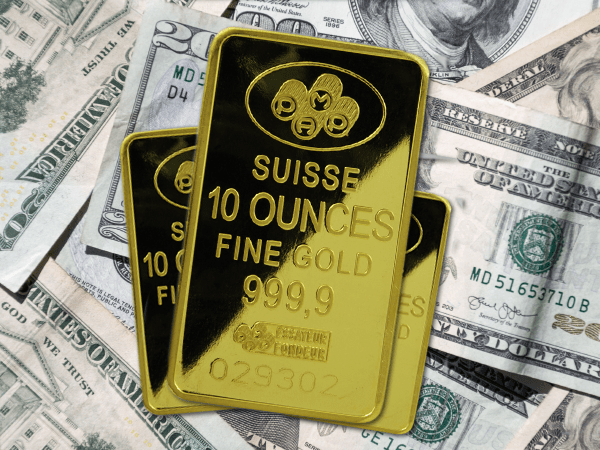 In the U.S., even economists who favor the dollar gold price might be blind to an upcoming rise in the financial power of the precious metal. That, and real inflation may become a better gauge to see just how well this measuring stick is doing. Though revealing it at the federal level may send the market into a panic. According to Ross Norman at Sharps Pixley, using the dollar’s strength to measure net worth in the U.S. could give you the impression that we have a “strong dollar.” But that yardstick shrinks as inflation eats into it. This means using the dollar as a “yardstick” for measurement isn’t consistent. Using inflation as a gauge for shrinkage can give you a decent picture of how “strong” or “weak” the dollar’s measure is, assuming you’re using an accurate gauge. Measuring our net worth in local currencies, we might be rather pleased with ourselves – smug even. However we chose to ignore the fact that the yardstick is not a constant … it is shrinking and sometimes really quite fast. It’s the natural corrosive effect of inflation. Knowing this, governments give us a gauge for yardstick shrinkage to use such as RPI or CPI, to reassure you that the shrinkage is minimal… and then lie about it. For those who don’t know some of the terms Norman uses, the CPI is the Consumer Price Index, which is compiled by the Bureau of Labor and Statistics (BLS) and used by agencies like the Fed. The Retail Price Index (RPI) is essentially the same thing, but based in the UK. Federal Reserve Chairman Powell likes to refer to the CPI for his FOMC announcements. As of December 2018, the CPI inflation rate was 1.9%. This is near the Fed’s “target rate,” and partly why Powell favors it. If that’s the case, this signals that “real” inflation could steal all of your wealth if you don’t consider hedging your bets with gold as insurance. If you only look at CPI inflation, it has dropped into Powell’s “comfort range.” But you probably won’t be comfortable, because your standard of living isn’t factored into the calculation. Using the even older methodology from 1980, and real inflation gets closer to 9%. Ross Norman calls the result “stealth inflation,” because it’s not reported by the Fed, and can steal your wealth. Insurance works best when you buy it before you need it. But if you don’t do your homework, “knowing when you need it” can be challenging. If the Fed (or the BLS) revealed the real (“stealth”) inflation rate, whether it’s closer to 6% or 10%, the market would likely panic. People would see the dollar’s true buying power, and that could trigger the next financial crisis.